Learn more about our funeral home and chapel services to help make planning decisions. The casket spray is both a traditional and elegant tribute, used with either an open or a closed casket during the visitation or funeral service. Pay tribute to a life well-lived with a floral tribute basket. Every beautiful bloom will be a testament to the loving relationship you shared. Standing floral sprays, often called "easel arrangements" are dramatic, and add an elegant touch to the funeral or memorial service. 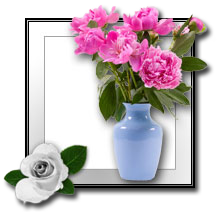 Floral casket inserts adorn the inside of the casket, and are reserved for use as a tribute by the immediate family. When words are not enough, express your sympathy and condolences with a beautiful and classic tribute floral table arrangement. A living sympathy plant, or tribute plant arrangement keeps the memory of a loved one alive while bringing peace to the bereaved.